Deborah Brauser is a freelance medical reporter and a member of the Association of Health Care Journalists. Doug Donaldson is a freelance writer living in Beacon, New York. Since 2003, he has written on a variety of topics but focused on health, fitness and nutrition. His articles have appeared in several national magazines including Men's Health, Better Homes and Gardens, Men's Journal and Heart-Healthy Living. A former editor at Bicycling magazine, Donaldson is the author of two books: Bicycling Magazine's Guide to Bike Touring and Dancing on the Pedals. He has also written chapters for other books, including Men's Health Best Body, 50 Truths Worth Knowing, Gig, and Men's Health Total Fitness Guide. Doug keeps his heart healthy by cycling in upstate New York, taking walks with his dog, Paco, and scouring nutrition labels to weed out foods with high amounts of sodium. Debbe McCall is an afib patient who specializes in speaking both afib patient and EP languages. You'll most often see her at medical conferences live tweeting presentations for clinicians and patients. She is the FDA Patient Representative for the Cardiovascular Drug and Device Advisory Committees, is the Patient Principal Investigator for the Health eHeart Alliance that is funded by the Patient-Centered Outcomes Research Institute as part of PCORnet (the National Patient-Centered Clinical Research Network), and has been featured by the Health eHeart Alliance and EP Lab Digest. 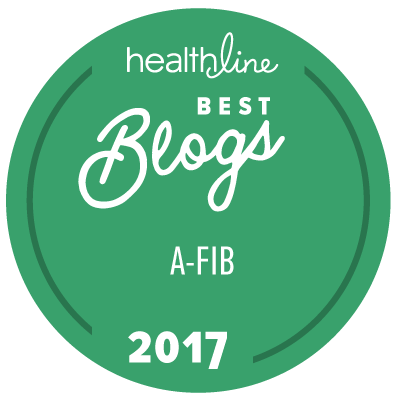 Melissa Moss is a writer for StopAfib.org based in Alexandria, VA. She writes about atrial fibrillation and stroke prevention for afib patients. She regularly attends medical meetings to stay on top of emerging treatments and news. Peggy Noonan specializes in writing about health for consumers and medical professionals. She lives in Colorado and writes for leading national magazines and consumer publications as well as StopAfib.org. She has contributed chapters to books on women's health and natural medicine and wrote several digest-size books for Doctor's Digest publications. Her articles have appeared in USA WEEKEND Magazine, Men's Health, Women's Health, Cooking Light, BottomLine/Health, BottomLine HealthyWomen, and many others in print and online. Christine Welniak is a freelance writer based in Brooklyn, NY. She writes about atrial fibrillation, heart failure, and stroke for patients, medical professionals, and investors. She regularly attends medical meetings to stay on top of emerging treatments and to interview healthcare professionals. Christine worked on Wall Street for more than a decade prior to turning to freelance medical writing. Articles and content without a byline are by Mellanie True Hills, founder and CEO of StopAfib.org, who is an atrial fibrillation survivor.